Documentary Title - "Benjamin's Ride"
The edit on our latest documentary continues to progress. As the diverse elements of the film come more into focus, the refinement of the movie's title also continues to evolve. We credit Executive Producer Colin Cameron with this latest branding. This one we think will stick. Tagline: An autistic boy and Snow White. This past weekend, we made more progress on our Snow White documentary. 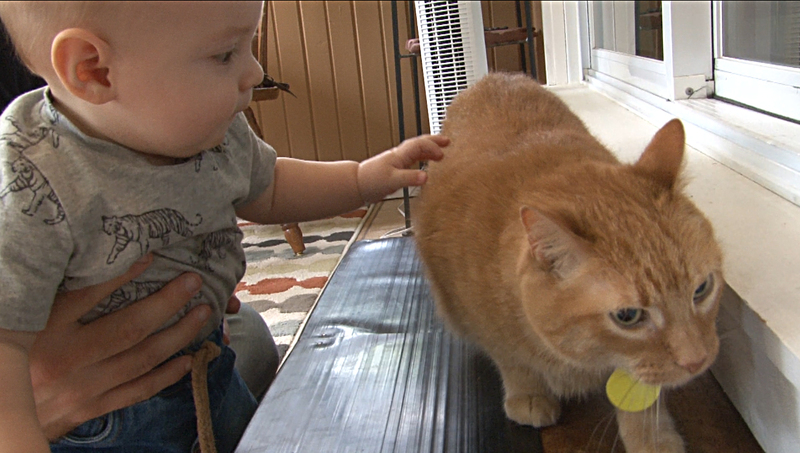 We shot a couple b-roll scenes that called for a reenactment with a baby and a house cat. Lucky for us, our friends Michael and Andrea Holly are visiting from Brazil this month with their seven month-old son, Calvin, who was perfect for the role. The pet cat was wrangled up by fellow friend and filmmaker, Nicholas Wootton of Windmiller Media, who also acted as Production Manager during the shoot. In addition, we did a short interview with Andrea about the immense popularity of Snow White in Brazil, and we asked her if she could name all Seven Dwarfs in Portuguese. She came through with flying colors.